DAVID CHAPPELL BA(Hons Arch), MA(Arch), MA(Law), PhD, RIBA has 50 years of experience in the construction industry having worked as an architect in the public and private sectors, as contracts administrator, as a lecturer in construction law and contracts procedure and as a construction contracts consultant. He was Professor of Architectural Practice and Management Research at The Queen's University of Belfast and Visiting Professor of Practice Management and Law at the University of Central England in Birmingham. 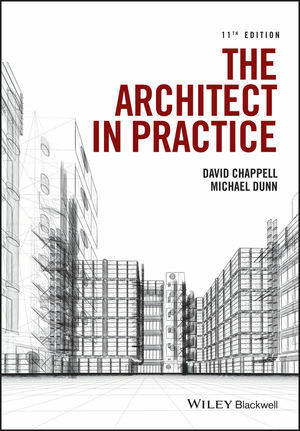 The author of many books for the construction industry, he is Director of David Chappell Consultancy Limited, is a specialist advisor to the RIBA and RSUA and regularly acts as an adjudicator. MICHAEL DUNN FRICS, FCIArb, BSc (Hons), LLB, LLM is a quantity surveyor with over 25 years of experience in the construction industry, having worked in both the public and private sectors. He was a lecturer and course leader at Leeds Metropolitan University on its Construction Law & Arbitration postgraduate course, and is now a director with Rex Procter & Partners. He is a visiting lecturer on Birmingham City University's and the RIBA's (Chester, Hong Kong & Dubai) Part 3 professional practice courses, and at Leeds Beckett University on its Construction Law & Dispute Resolution postgraduate course.